So, you’re coming to California — or you live in California — AND you like wine? BUT, you already explored the Napa and Sonoma scenes (cause, duh, you like wine!) — what’s a wino left to do? Turns out there’s plenty! 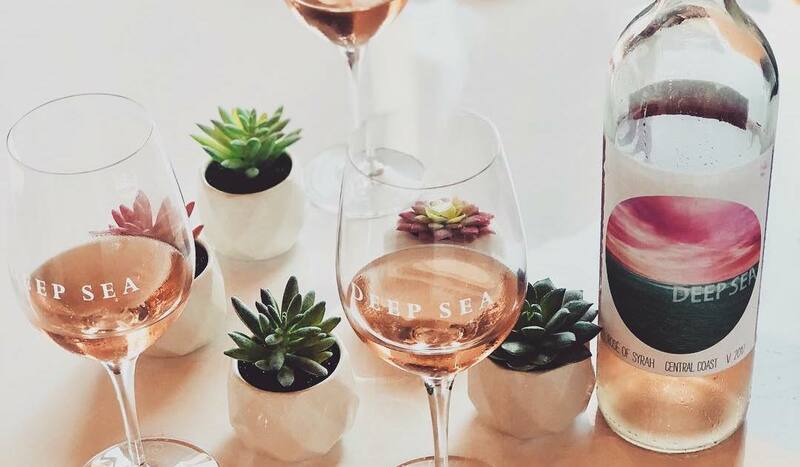 First, set your sights on Santa Barbara — the beachside community is a winemaking hotbed and its downtown neighborhood boasts over 20+ tasting rooms, which means you’ll have no lack of selection AND, you don’t have to worry about driving after imbibing because they’re all walkable. This tour starts in the heart of SB’s downtown Presidio neighborhood, a little off the beaten path and works its way to “The Funk Zone” and the Urban Wine Trail and the beach. 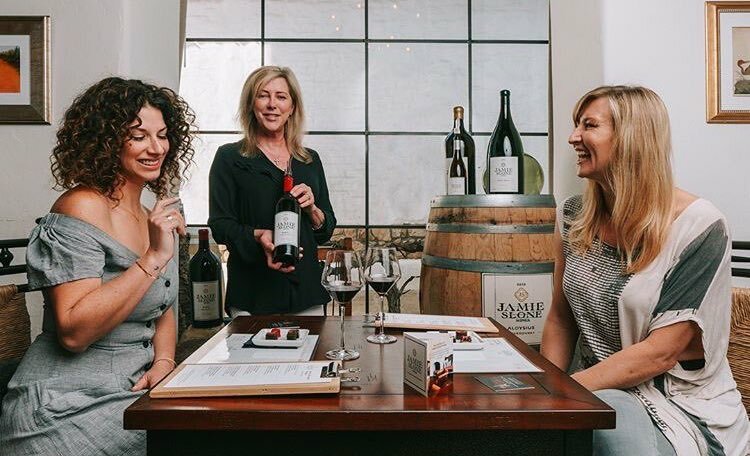 Just remember to call ahead, while Santa Barbara isn’t as frequented as Napa and Sonoma, you’ll still need to make reservations at each location to ensure a tasting spot. 1. 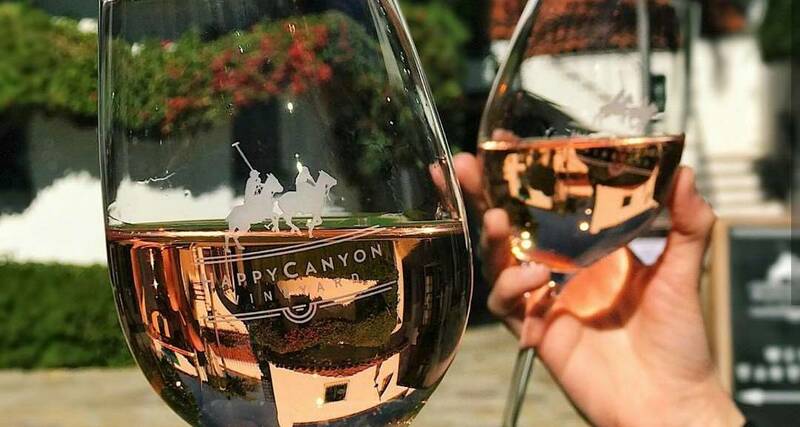 Happy Canyon: Start your day in the tasting room’s “Polo inspired” wine lounge to settle in for a sampling of the vineyard’s organic Bordeaux varietals. For equestrian enthusiasts it’s worth noting, the Polo lounge isn’t just for show, the eastern Santa Ynez Valley Happy Canyon Vineyard that supplies the tasting room is home to two regulation sized Polo fields and many Polo ponies. So you’re well set up to enjoy your sips with a little horse history. 2. 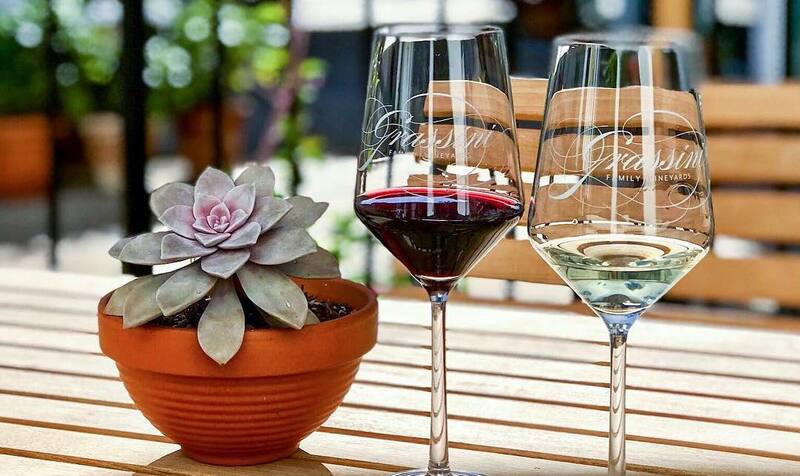 Grassini Family Vineyards: Head down the block to the Grassini Family’s location which boasts wins for Reader’s Choice of Best Tasting Room and Winery for the last two years in the Santa Barbara News-Press. 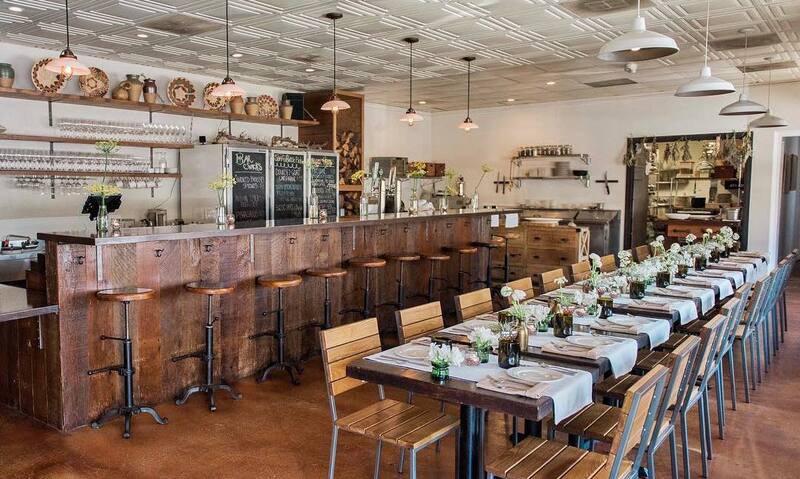 Its downtown Santa Barbara tasting room is designed as an urban reflection of its Happy Canyon Santa Ynez Valley winery with rustic homey touches. Grab a seat in front of their fireplace or on the outdoor patio to sip from their Estate ($15) or Reserve ($25) four-pour tasting flights. 3. Jamie Slone Wines: On the next block you’ll find husband-wife duo Jamie and Kym Slone’s Presidio spot, which was recently nominated for Best Urban Tasting Room in the Santa Barbara Independent’s 2018 Best of readers poll, offer both a white to red tasting (with a Rose to start of course) for $20 and a “Red Obsession Flight” for $25 in their spacious location. If you’re ready for a mid-morning nibble you can add on pairings of chocolate and cheese from two local Santa Barbara neighboring businesses. Lunch: By now you might be ready for some sit-down sustenance (you’ve got four more stops to make, so pacing is essential), and if so, make your way to Barbareño just a few streets off the wine trail tour for a patio lunch of share plates from a menu that changes monthly — though their take on the Egg McMuffin (which was invented at a McDonald’s on State Street in 1971) is always available and always delicious. Save room for dessert with a sweet scoop or ice cream cookie sandwich at the State Street McConnell’s Fine Ice Cream location — a Santa Barbara staple. 4. Paradise Springs: After lunch you’ll leave the historic Presidio neighborhood and make your way down State Street towards the ocean into “The Funk Zone,” Santa Barbara’s hip and eclectic arts community. 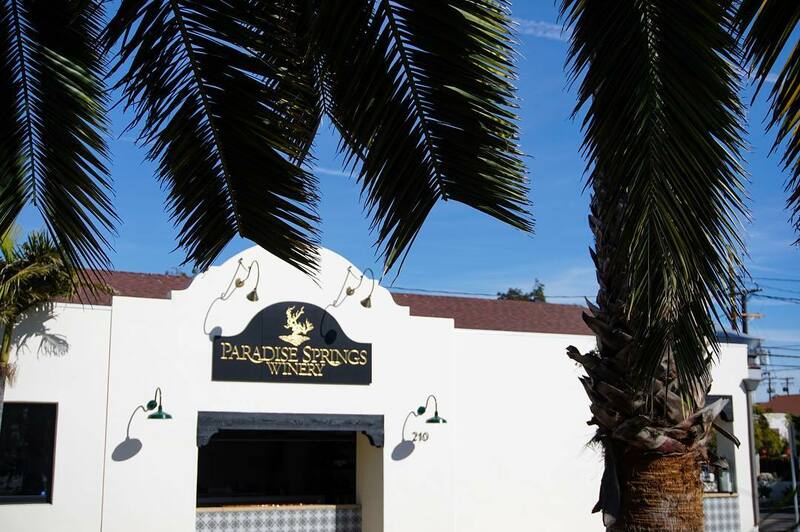 Make stop number one the Paradise Springs Tasting Room — which pours tastings from its East and West coast wineries allowing visitors to engage in their own test of the coastal competition. 5. 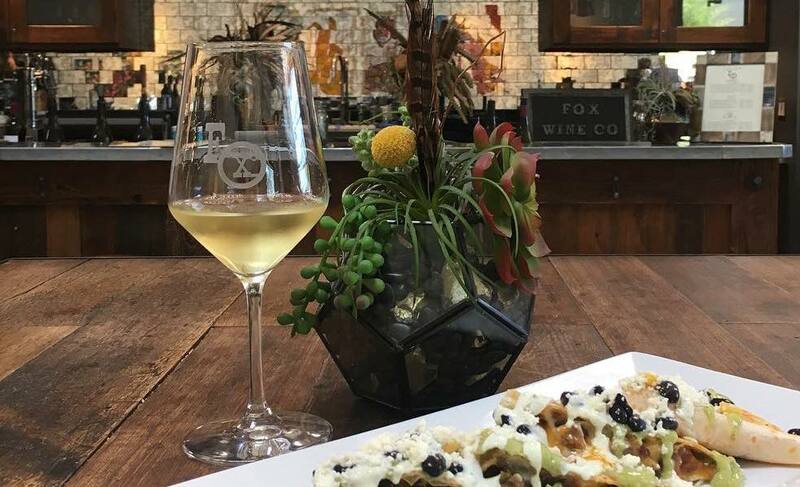 Fox Wine Co.: This spot takes its Funk Zone location seriously, serving three different tasting flights,15 wines by the glass or bottle and organic cider on tap, from a spot in Santa Barbara’s “Waterline” — an industrial warehouse repurposed into a community center for local artisans and eateries that also houses The Nook Eatery — a perfect spot for lunch serving interesting American fare if you stayed on the wine path and skipped Barbareño. 6. 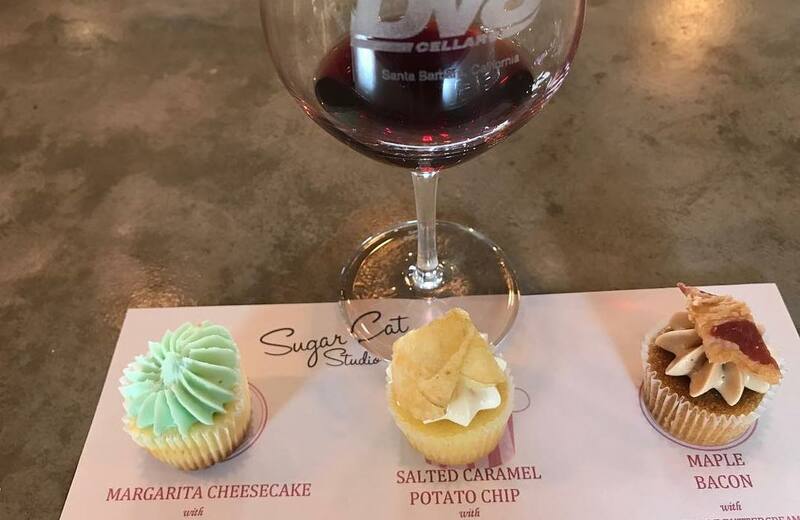 Dv8 Cellars: The story of this tasting room isn’t one you’ll hear everyday: Dv8′, which stands for “deviate from the norm,” certainly lives up to its name. The wines, all sourced and made in California’s Central Coast, pay homage to their makers Marc and Dominique Simon’s love of Formula One racing and boast names (with correspondingly-themed labels) like “Overdrive Syrah,” “G-Force Grenache” and “Victory Viognier.” Buckle up for a healthy pour and a chat with Marc about his days as a rocker in the 90s band WildSide. 7. Deep Sea Tasting Room: For your last stop, mosey on down to the Deep Sea tasting room on Stearns Wharf, which offers a signature flight tasting of 5 wines for $15 with a side of 360 degree views of the Pacific and the Channel Islands in the distance as well as the Santa Barbara harbor. Say cheers to a great day while watching the sun set over the Pacific. Dinner: Loquita Santa Barbara: What’s better for washing down (and soaking up!) a day of wine than with a Spanish tapas feast? Start with the croquettes and finish with the paella (and one final glass of wine? Why not!) to complete you Santa Barbara tasting tour. Salud!